The U.S. stock markets ended on a high note last Friday. But investor sentiment is still low as the U.S. fiscal cliff looms and a bailout for Greece seems highly unlikely. Things are a little subdued in the Asian market this week as Japan’s Nikkei opened on a one month low of 0.6% while the MSCI opened down 0.1% this morning. Also the Japanese Government’s data released earlier today suggested an economic slowdown of 0.9% compared to the previous quarter. The data is suggesting a contraction after 3 successful quarters. The Japanese economy might be edging towards a recession owing to weak demand in the global markets and also weaker consumer spending. The Chinese trade surplus data on the other hand swelled to its highest value in over 3 years this October. Chinese exports grew by 11%, which is a good sign. The Chinese government is keen on taking several measures that might affect the global markets significantly such as increasing foreign investment in its bonds and stocks. Plans are also in motion to increase the quotas for its Qualified Foreign Institutional Investor Scheme. Chinese reports have shown signs of improvements but consumer sentiment is still low. The U.S. is now concentrating on the looming fiscal cliff post the Presidential elections. Negotiations to avoid the cliff have begun, and the government is exploring ways to cut the deficit of around $600 billion worth of tax increases and spending cuts that are to be dished out early next year. Analysts worldwide still continue to believe that the fiscal cliff could crash the U.S. economy, which is showing mild signs of recovery. Consumer sentiment is at a five year high as many U.S. stocks rose at the end of last week. Crude also rose and settled finally at $86.07 per barrel while Brent fell to $109.22. The Dow ended flat, NASDAQ 0.3% higher and Standard & Poor’s also higher at 0.2%. While the Chinese and U.S. markets are doing well, things are not the same in Europe. The French, Italian and Swedish industrial outputs fell last week as Germany issued a warning suggesting a much slower economy. A debt-stricken Greece also looks unlikely to receive any bailouts as the Eurozone finance ministers are in two minds on giving Greece a fresh lease of life. Greece is likely to receive another two years to cut its debts. Greece also won an approval for its budget law for the year 2013 earlier this Sunday. The event is crucial for Greece to avoid any insolvency. 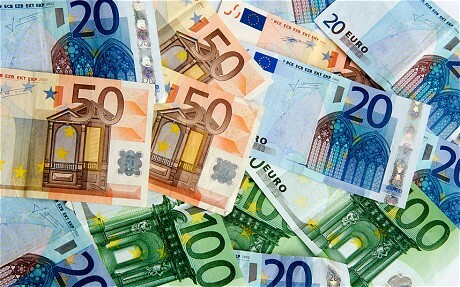 The European economy does not show any good signs of improvements and the trend is likely to continue for sometime. The week starts off with a Japanese GDP announcement and the Veterans Day Holiday in U.S. The markets are predicted to remain subdued for the day. Investors are keenly waiting for macro data with all the commotion about the fiscal cliff. The micro data however does not seem to contain anything that could move the markets significantly. The U.S retail sales data is set to release this Thursday and it would be best to keep an eye out for this while trading your binary options as the data is expected to be on the low side. Some inflation statistics are due for release this week but nothing extra ordinary is expected there as inflation is already pretty high. Other than these the weekly industrial production report is due late on Friday. The UK and European inflation statistics are also due this week along with the European GDP report that is due later this Friday. The markets this week seem very lazy and there are no factors suggesting any major growth. EPFR Global suggested on Friday that investors are increasingly buying bond funds throughout the world as worries loom around the global economy.